With an increased adjusted gross revenue (AGR), Reliance Jio has now made gains in the revenue market share (RMS) by as much as 375 basis points. Following a strong performance in key states and rural mobile markets, Reliance Jio has leapfrogged Vodafone Idea and Bharti Airtel in terms of adjusted gross revenue (AGR) from access services for the quarter ending September. With this, Reliance Jio has made a big revenue market share (RMS) gain by as much as 375 basis points in just over two years since launching its 4G services in the country. AGR is a measure of income calculated from a company’s gross income and it is used to determine how much of a company’s income is taxable. According to the financial data collated by Telecom Regulatory Authority of India TRAI (via The Economic Times), the Mukesh Ambani-led Jio’s AGR from access services (excluding national long distance, or NLD, services revenue) stood at Rs 8,271.86 crore. In comparison, Vodafone Idea Ltd.’s AGR is Rs 7,528.35 crore and Airtel’s Rs 6,720.91 crore in the quarter. If the NLD revenue — which gets generated when a telecom operator carries a voice call from one circle to another — Jio’s overall AGR — or revenue derived from licensed services – stood at Rs 8,300 crore, below VIL’s Rs 10,500 crore and Bharti Airtel’s Rs 9,900 crore. 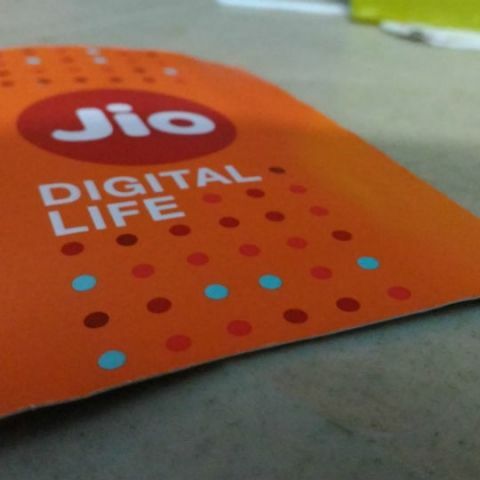 Jio’s AGR was up by 16 percent, while VIL’s and Bharti Airtel’s were down by 6.2 percent and by 3 percent respectively, on a quarter-on-quarter basis. Airtel’s overall AGR includes the 45-day revenue of Telenor India -- a company it had acquired in May. This revenue growth has helped Jio expand its RMS by 375 basis points (bps) to 26.1 percent as compared to the last quarter. Meanwhile, Bharti Airtel’s RMS dipped from 75 bps to 30.9 percent and VIL’s RMS dropped from 190 bps to 32.8 percent.